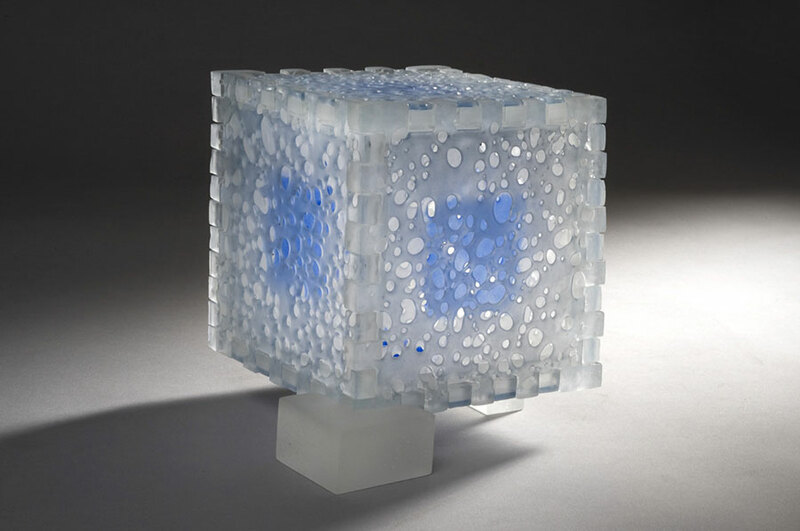 Karen Bexfield’s glass sculptures challenge us to look anew at the ordinary. 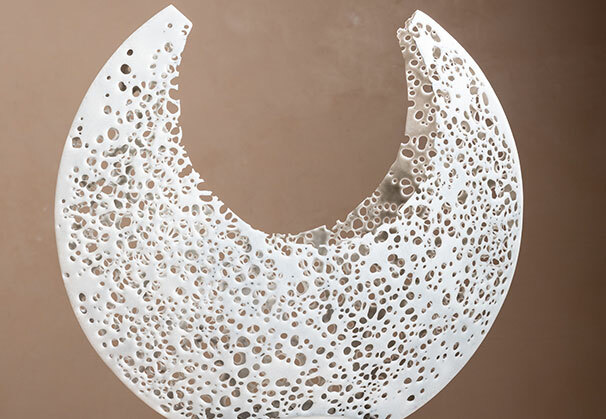 Her inspiration arises from the natural world: a crescent moon at dusk; the curve of a tree as it ascends upwards; playful patterns of light and shadow in ice. 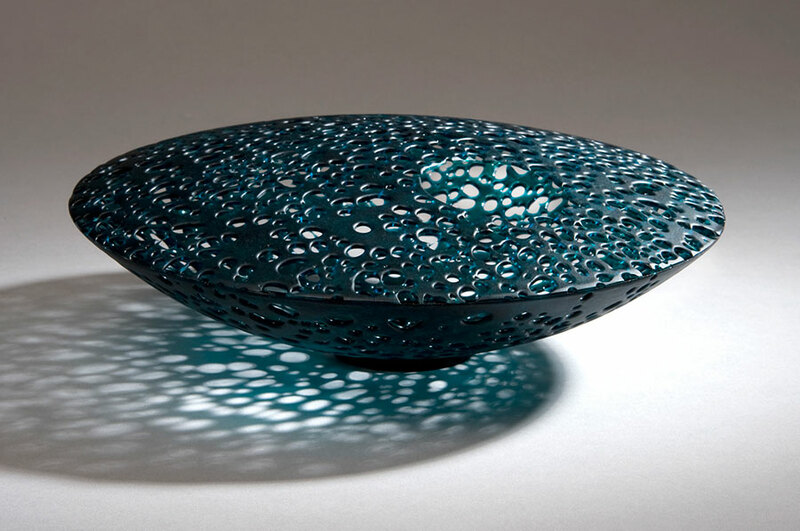 Her unique kiln-formed process creates images that are powerful and graceful and gives us permission to pause and meditate. 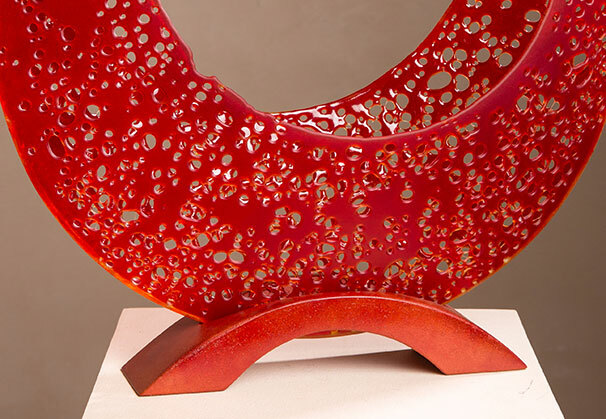 Karen is represented by Winterowd Fine Art, Santa Fe, NM. 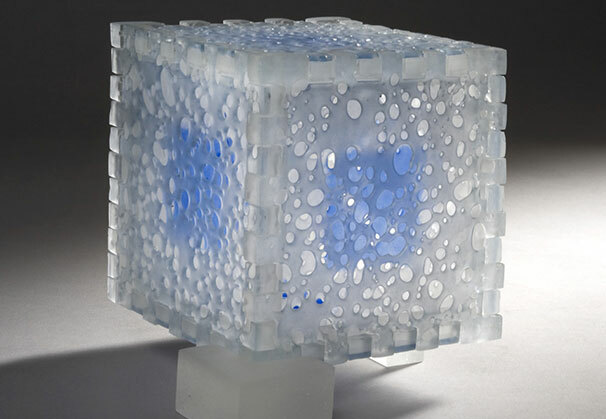 Presently I am exploring the limits of glass movement by subtly influencing the variables of mass, heat, and time. Within me, my artwork evokes a sense of tranquility, a reflection of nature’s organic patterns: a balance of simple geometry and pure chance. 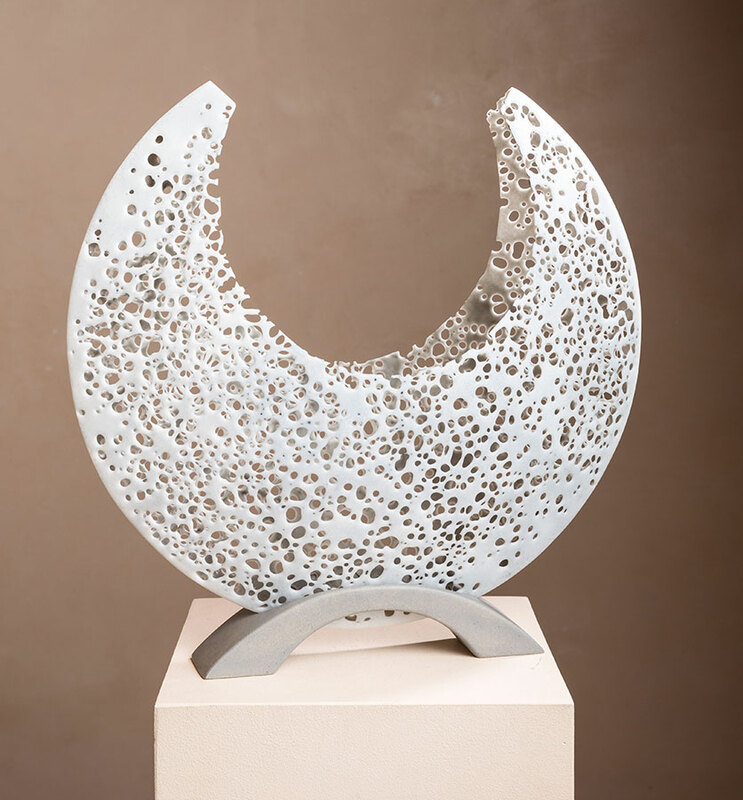 My sculptures are delicate in appearance but strong in form; they capture life’s spontaneity. 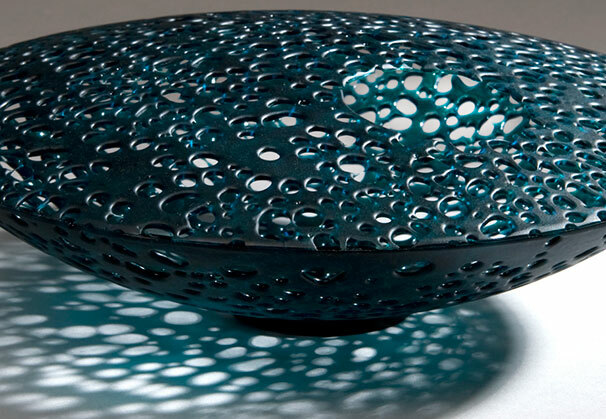 The interplay of color, shape, and movement speaks to the raw, yet purposeful, unpredictability of nature, while the weaving of light casts shadows that intrigue, creating art within art. On my studio wall is the quote, “Satisfaction of one’s curiosity is one of the greatest sources of happiness in life." 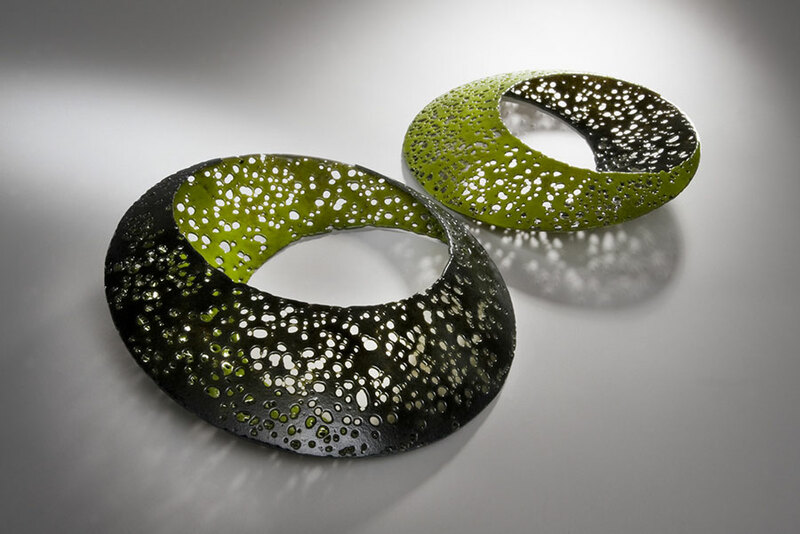 Karen Bexfield started working in glass in 2003, drawn toward its myriad challenges. She likes to experiment and push the limits of the material, focusing on controlling the variables that influence the movement of glass. 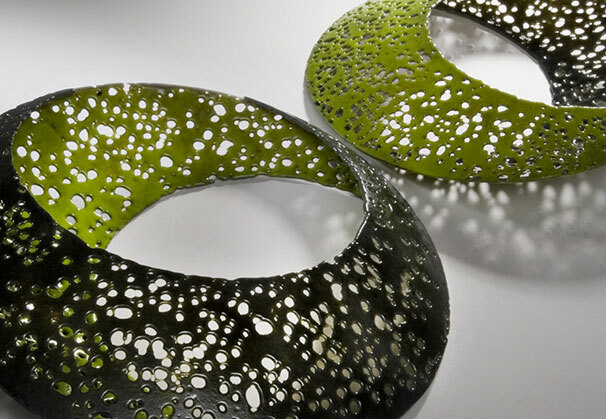 Through the manipulation of heat and mass, she creates kiln-formed glass sculptures that mirror the organic patterns of nature. Her work explores the relationship between positive and negative space, light and shadow, and the poetic balance they create. 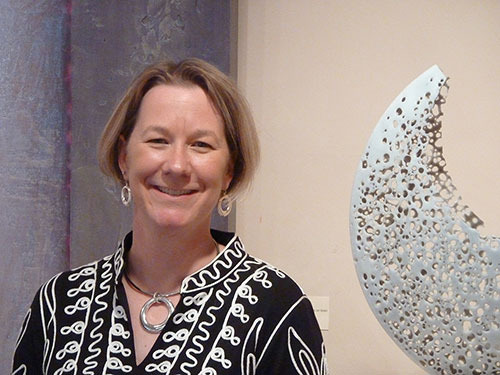 Her current work is the extension of her experiences at Pilchuck’s Bullseye Professional Artist in Residence program, in which she was selected to participate in both 2009 and 2010. Karen credits the many teachers she has studied with, including: Pilchuck’s Steve Klein and Richard Parrish for design, Judith Conway and Kevin O'Toole for kiln-forming, Richard Whiteley and Linda Ethier for mold-making and kilncasting, Alicia Lomne for pate de verre, Bob Leatherbarrow for frit technology and Pat Bako for coldworking. 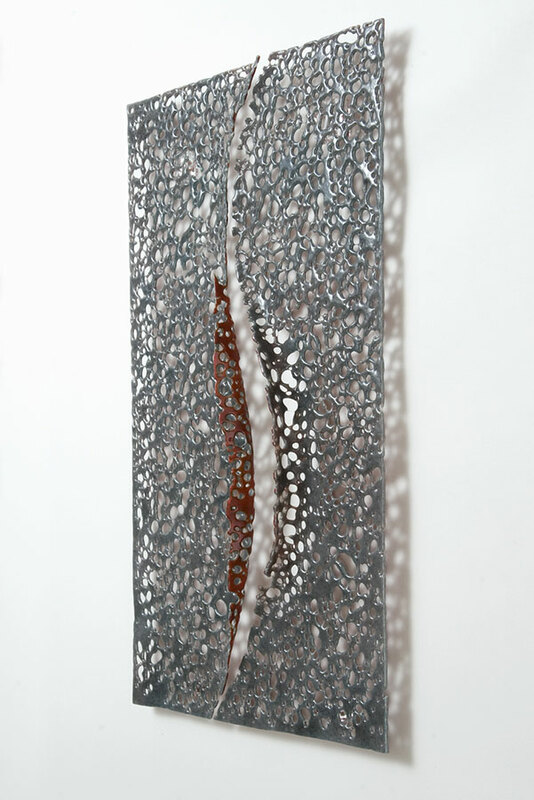 Outside of the studio, Karen seeks experiences that satisfy her desire to explore, to understand, to know. She enjoys the serenity of nature, from the physicality of the terrain to the various layers of life. Karen’s curiosity has taken her to many parts of the world, including Egypt, Morocco, Tanzania, South Africa, Costa Rica, Italy and Mexico. 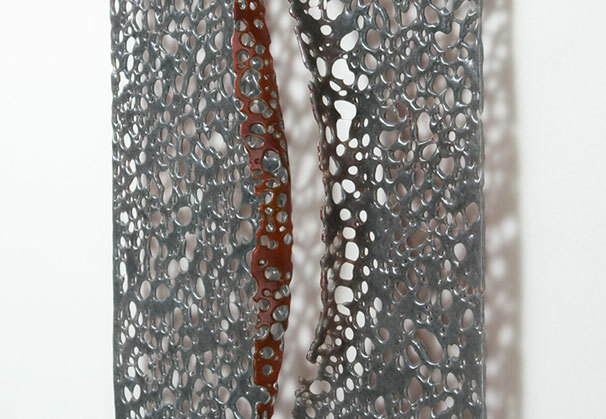 Her desire to encounter the unknown—in nature and in faraway lands—fuels both her art and her approach to life. 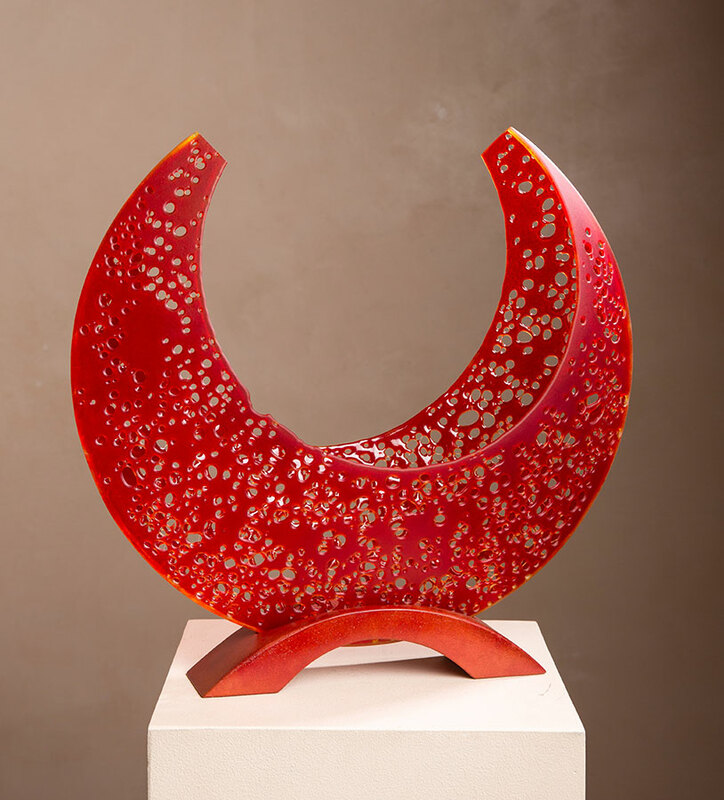 We are grateful to Winterowd Fine Art, Santa Fe, New Mexico, for providing the materials for the Artist of the Month.